When it comes to seating a large amount of passengers and holding an incredible amount of cargo space, minivans are the best option on the market today. At Freeman Honda in Dallas, TX, we have a large array of pre-owned Honda Odysseys in stock for drivers to explore. 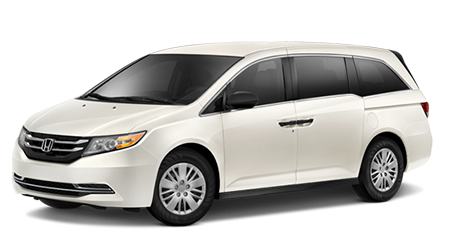 A used Odyssey has the same interior features and seating capacity as a new model, but is at a much more affordable price. Our dealership has served Desoto, Cedar Hill, Midlothian, Waxahachie, Lancaster, Red Oak, Ovilla, and Glenn Heights, TX for a number of years as one of the state’s top-rated Honda dealerships. Visit Freeman Honda at 39680 IH 20 East and test drive a pre-owned Odyssey today. Unlike other pre-owned vehicles on the market today, a Certified Pre-Owned Odyssey is fully backed by Honda. Every Certified Pre-Owned Honda has less than 85,000-miles on it and is less than six model years old. Our trained technicians will complete a 150-point inspection on every vehicle and will replace necessary components with authentic OEM components. Each Certified Pre-Owned Odyssey also comes with a CARFAX Vehicle History Report and a clean title. To give you the confidence to use a Certified Pre-Owned Odyssey every day, Honda backs each vehicle with an extensive warranty. Each Odyssey comes with a 7-yr./100,000-mile powertrain limited warranty and a Certified Used Car Limited Warranty that lasts for 12-months/12,000-miles as long as the New Car Warranty is still valid. Drivers looking to extend their vehicle’s warranty can opt for an optional Honda Care Certified Additional Coverage that prolongs the Odyssey’s drivetrain warranty to 8-yr./120,000-miles. To get you into a pre-owned Odyssey today, our dealership has an outstanding finance team that will get you an excellent rate on a vehicle. Our dealership will work with your credit score to get you an affordable loan that works for you. Even if you have a less than perfect credit score, our finance team will get you into a used Odyssey today. To get an idea of what kind of loan you’ll get at our dealership, visit our available website and fill out an online finance application. With this convenient features, you’ll be able to take a pre-owned Odyssey home. A used Honda Odyssey is a versatile minivan that has all of the same features as a new vehicle, but is at a much more affordable price. For great Honda value and a top-notch minivan, you should be shopping at Freeman Honda, close to Desoto, Cedar Hill, Midlothian, Waxahachie, Lancaster, Red Oak, Ovilla, and Glenn Heights, TX. Stop by Freeman Honda in Dallas, TX at 39680 IH 20 East and explore a pre-owned Odyssey today.